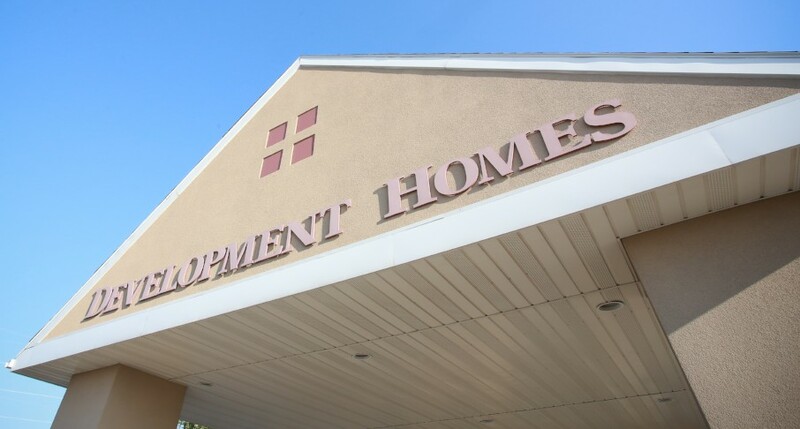 Development Homes, Inc. (DHI) has been at the forefront of efforts to improve the quality of life for people with developmental disabilities since its inception in 1974. Dr. Leland H. Lipp, Clarence Ohlsen and Richard Christensen, three local professionals working in the field of children's services, founded Development Homes, Inc. DHI began as a single foster home on Dyke Avenue that offered therapeutic residential care for children needing access to the former Medical Center Rehabilitation Hospital in Grand Forks. The group home allowed these children to live in a nurturing, family-like atmosphere. DHI has played an important role in the restructuring of North Dakota's services to persons with developmental disabilities. In 1982, the Association for Retarded Citizens initiated a class action lawsuit against the State of North Dakota. The lawsuit challenged on constitutional grounds the condition and treatment of residents at two public institutions, the Grafton State School and San Haven. Under the settlement, North Dakota initiated efforts aimed at moving residents out of these state-run institutions into community-based living programs and to provide appropriate education, training and support services to people with developmental disabilities in the communities where they lived. The State of North Dakota turned to local non-profit service providers like DHI to implement these programs. In response to the need, DHI evolved from the operator of a single group home to a multi-faceted provider of residential, transitional and vocational support services. 1982 - DHI built two group homes, one for children and one for adults with physical disabilities. 1983 - DHI took over the management of six additional group homes owned by The Arc Upper Valley and Grand Forks Homes. 1985 - Three DHI group homes achieved certification for funding under the Federal Title 19 Medicaid Program. 1987 - DHI was licensed to serve individuals living in their own apartments and homes under the Individual Supported Living Arrangement (ISLA) and Supported Living Arrangement (SLA) programs. 1990 - DHI started the Family Support Services program providing respite care and in home training services for children still living in their family homes. 1992 - DHI achieved national accreditation for outstanding programmatic service by The Council on Quality and Leadership in Supports for People with Disabilities. This status has been maintained through regular accreditation surveys. 1994 - DHI created Spaces for Living, Inc., a wholly owned subsidiary designed to own and manage a HUD Section 8 low income housing project consisting of the four ARC group homes and to develop additional affordable housing options for other people receiving services. 1999 - DHI initiated Vocational Support Services through the Supported Employment and Extended Services programs. 2001 - DHI began the Day Supports program, which offers persons unable to meet the performance criteria of the other vocational programs with opportunities to work. 2008 - DHI began providing QSP and Representative payee services. 2010 - DHI designed and built Columbia Place Townhomes to provide support to young adults with Autism Spectrum Disorders.